INDIA. Gurgaon. 2009. 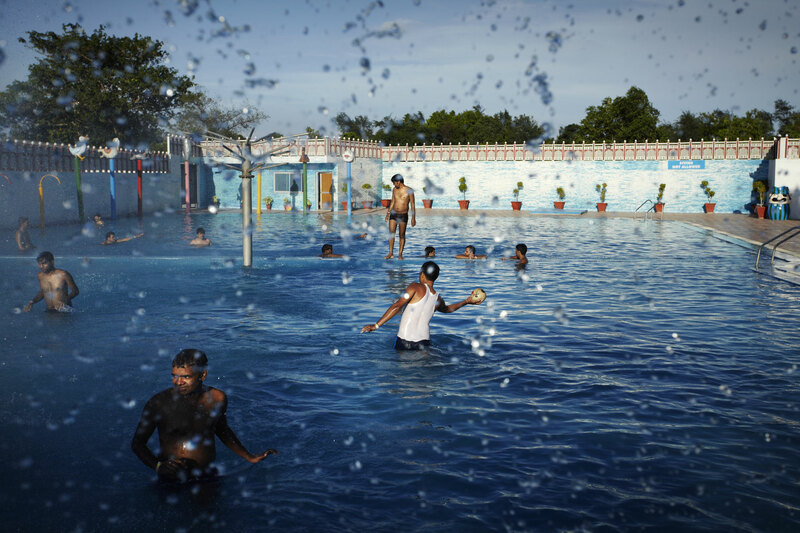 At Aapno Ghar, a water park and recreational centre on the outskirts of Gurgaon, in Haryana state suburbs of Delhi. Here there is no sign of the water shortage plagueing Delhi city. The parks fountains and water slides flow with water for the few visitors.